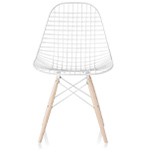 The organic shape and sophisticated lines of Charles and Ray Eames' molded plastic side chair make it a desirable design object as well as a surprisingly comfortable seating addition to any environment. 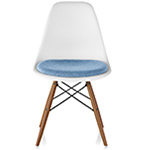 This version features a 4-leg base which complements the sleek lines and built-in comfort fo the body-cradling shell. 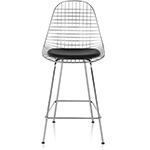 The Eames molded side chair in fiberglass or plastic can also be configured with a choice of wire, dowel leg, and 4-leg bases. 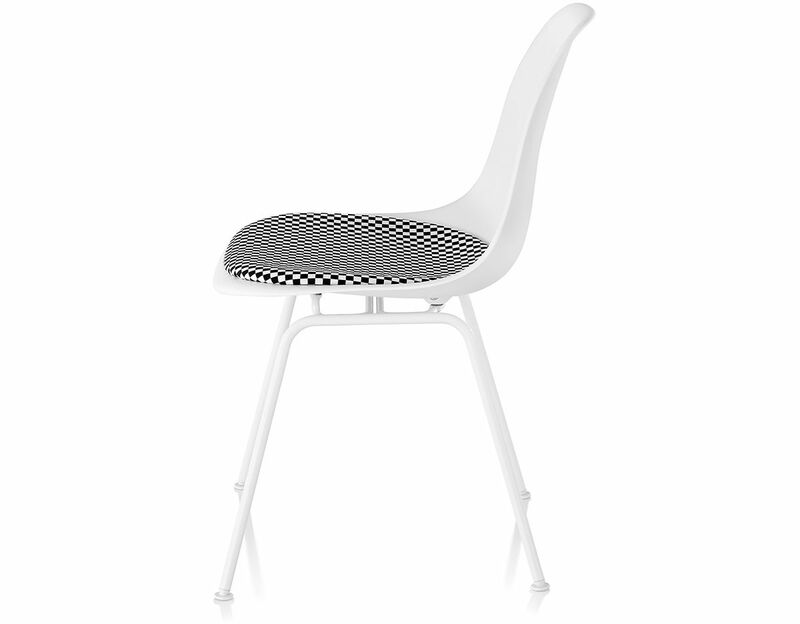 An array of finely tailored fabrics round out the collection of seat pad customization options. 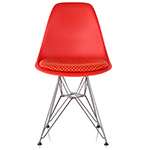 The seat and back are formed of molded plastic or fiberglass with waterfall edges and flexible back. 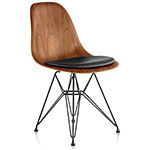 Upholstered seat pad comes affixed to Eames Molded shells. 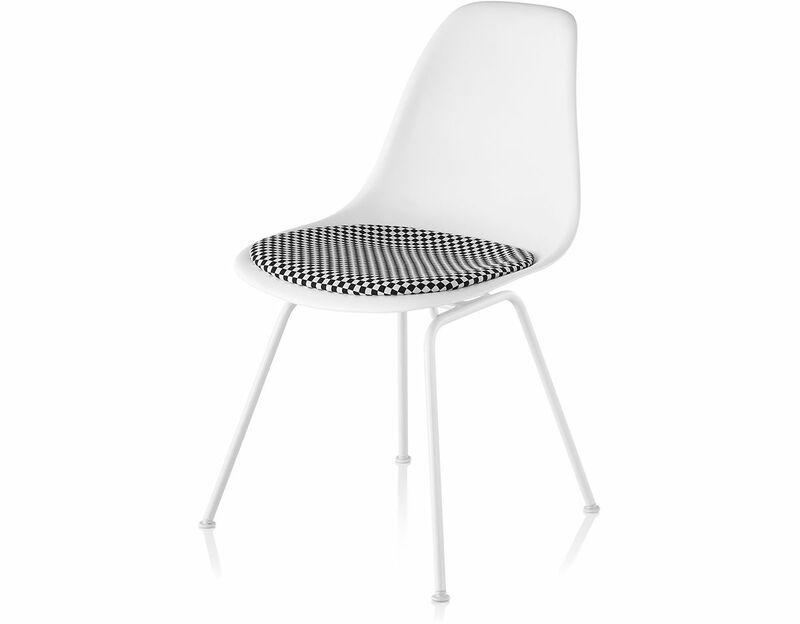 Chair is offered with standard plastic glides or standard glides with felt bottom. 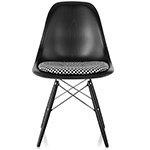 $405.00 + free threshold delivery in the continental US.